Forged from 81-layer damascus containing 1080 and 15n20 carbon steels, this 255mm flexible fillet knife by Nick Anger is long enough for even the most spectacular, fresh tuna. 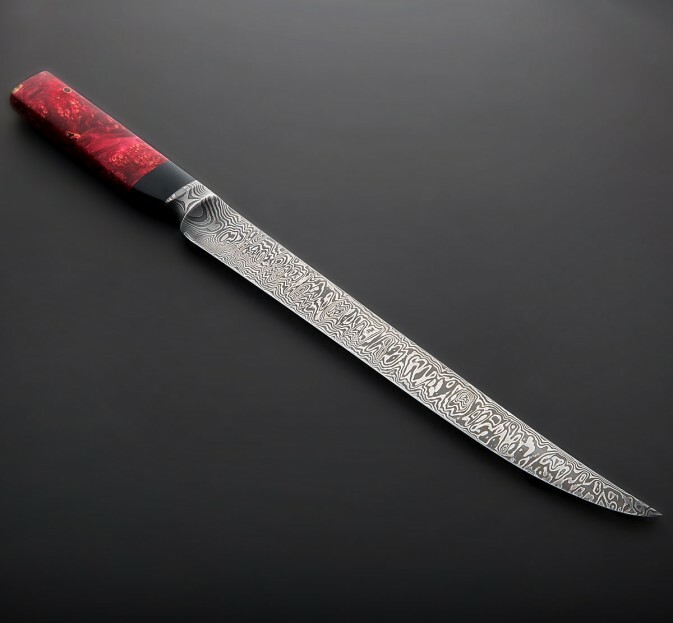 Nick creates his damascus one small batch at a time at his one-man shop in the US state of Vermont and each is unique, as evident in the variety and beauty of his blades. 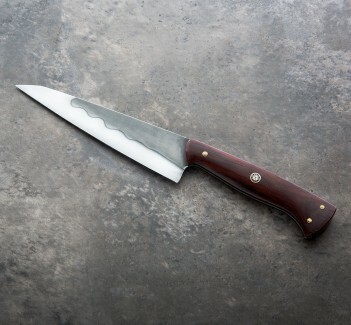 The integral construction and relatively tall blade compared with other fillet knives makes this piece a fantastic slicer, and although quite flexible, it's also just stiff enough for a wide variety of tasks. The red, stabilized box elder with black paper micarta handle matches perfectly. Focusing on integral damascus chef knives made one-at-a-time by hand, Nick Anger creates stunning, functional works of art prized by chefs around the world. Each batch of homemade damascus is unique, and each blade is heat treated personally by Nick with painstaking care to ensure optimal edge performance and longevity. 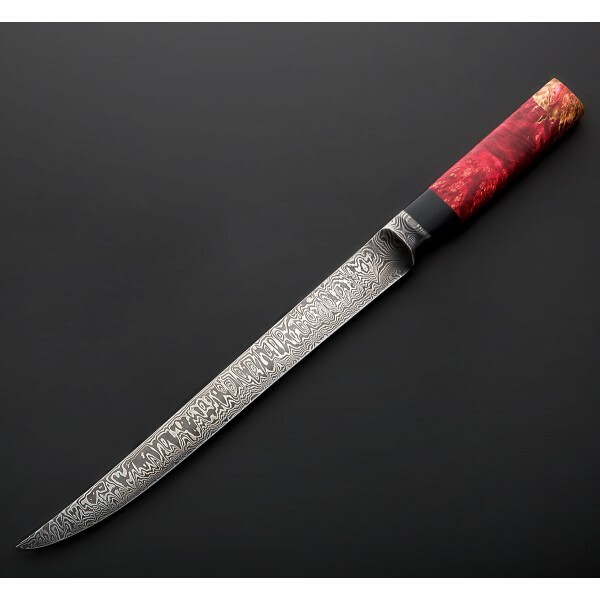 This Damascus Flexible Fillet is testament to the variety of purpose-built custom chef knives Nick is able to create with the help of an artists eye and the mind of a metallurgist. Blade length: 255mm / 10".  Overall length: 15.125". Blade spine width 1" in front of heel: 2.6mm. Blade height at heel: 27mm. Weight: 5.2oz / 146. 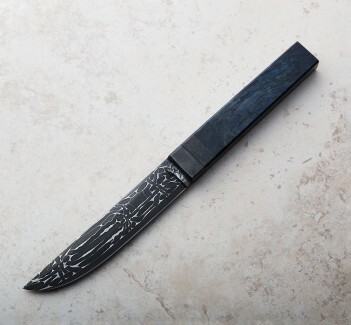 Blade: 81-layer damascus containing 1080 & 15n20 carbon steels. Handle: Red, stabilized boxelder, black paper micarta spacer.